- If you are creating graphics, or images that you want to fit side to side in each post, the content area is 720px wide on pages with a sidebar, and 1120px wide on full width pages. 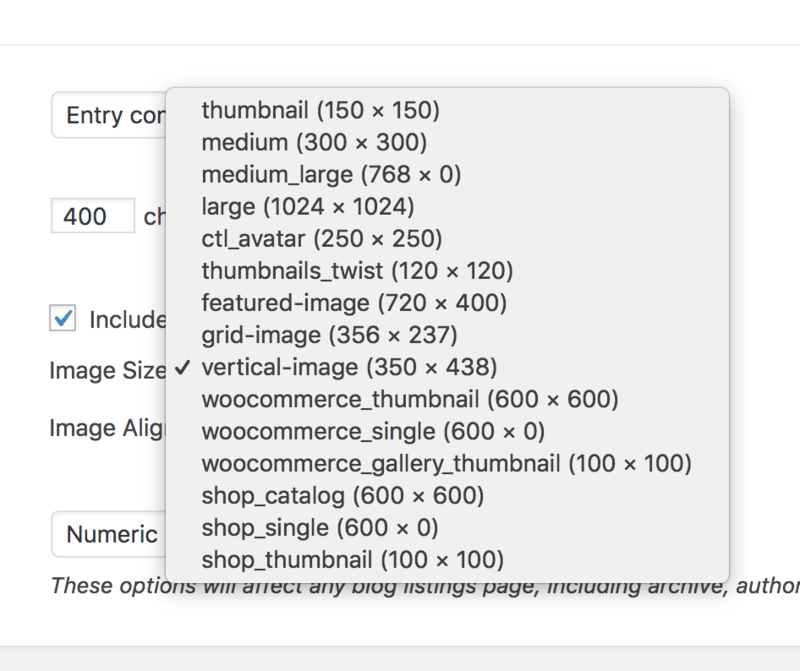 *Please keep in mind you can add your own image sizes under the Settings > Media menu of your dashboard. The above image sizes are the ones seen in the demo.